* Special insight into the Maximum Overload world tour, including backstage, behind the scenes, and off-tour footage. 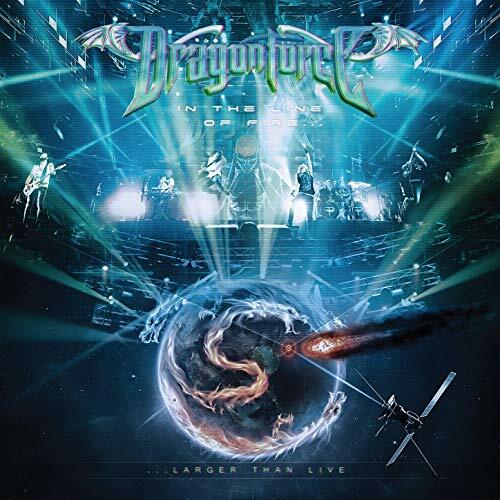 In the Line of Fire… Larger than Live is a live album by Power Metal band DragonForce released in 2015 and recorded on October 18, 2014 at Loud Park Festival. The release marks the band’s first live album to feature professionally shot footage at one of their concerts. It was made available in DVD and Blu-ray formats, with both versions including the audio CD with it.